Currently, websites are accessed with the help of a variation of devices. It’s not only the traditional computer but at present, the users even visit your websites with the help of their smartphone, televisions, tablets, games consoles, laptops and personal computers, as well. Hence, we, at RaviGraphix completely understand the need and requirement to get familiarized with the changes brought in the variety and sizes of the devices to access the websites. We keep our skills and knowledge updated with every new launch made in the markets. Our dedicated team of expert web designers make use of the most recent technology i.e. 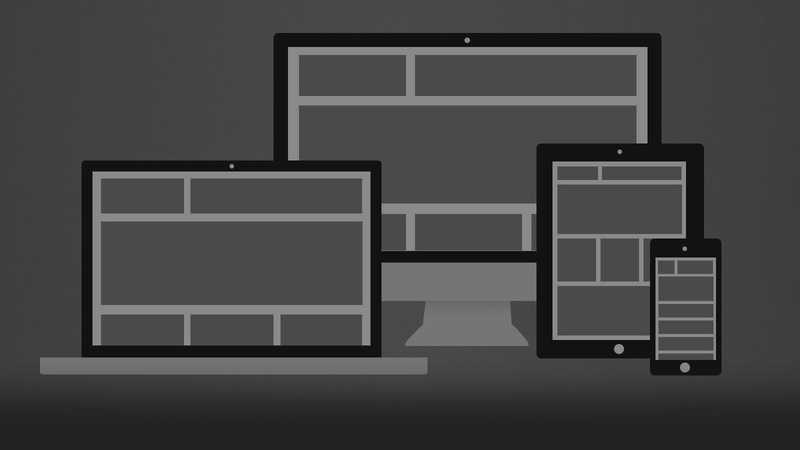 Responsive Web Designs Services Hyderabad tackle all types of devices. We can perfectly employ this latest technique over an existing site as well as on an about to launch website. Hence, if you are in search for a site which can facilitate and simplify an optimal viewing feel and experience in a broad variety of electrical gadgets and devices, then one of the best of designing such type of websites is by making use of the RWD technique. When people visit your site, they are typically more likely to take action if they have a good experience. This means, giving them what they want with the least amount of ‘friction’. Using Responsive Design, you can greatly reduce the amount of friction involved and give your users a great experience—thus, increasing conversions. As a responsive website design company from Hyderabad we ensure both a holistic visual experience for the end user; as well as technically perfect websites - successfully giving you the upper edge in the vast virtual market space. For us, responsive web design services are about ensuring 100% viewer satisfaction and the browsing. Our team can also help you to optimize your responsive website and thereby get you maximum visitors who may be using various devices and browsers. So get in touch with our team and understand how Savit can help you in upgrading your existing website or design a new one. that suits your brand, business and objectives. Responsive Web Design & Development has become the need of hour and so is the hunt for a Company that offers these services. With massive expansion of technology, the use of smart phones and tablets has touched skies, which brings in more opportunities of sale for you.To get in touch of target audience, operating through a device except computer, you need a responsive web design. By responsive, we mean a website that is spongy enough to give optimal view on every device, no matter you are viewing it on a big monitor or a tablet screen.Initially the users were redirected to mobile sites but with the storm of smart phones this turned out to be a tedious job too. With so many devices having multiplicity of options, it is nearly impossible to serve the interests of varied users. To meet this challenge, industry experts suggest going for a responsive design, as it would get adjusted according to each screen on which a viewer opens it.. The responsive web design invention captured the market of web development and all the attention of the companies providing services for web application development worldwide.It came out to be very useful as now users don’t need to switch on their desktops or laptops every time for some complex websites. Responsive designs empowered the users with the ultimate convenience of surfing the web pages through their smart phones or tablets only.